"Fruity, sweet, a bit of tang and a whole lot of 'another one of these please!'" 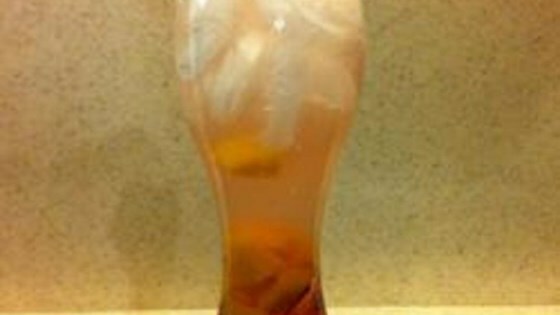 Pour passion fruit-flavored rum, mango-flavored rum, peach schnapps, and whipped cream flavored vodka into a large glass; add lime juice and grenadine syrup. Float seltzer water atop the cocktail; garnish with mango and maraschino cherries. Add ice to cocktail as desired. A bracing tropical cocktail lush with fruit juices and rums.